Evolution Gaming Live Roulette comes with a lot of different type of Roulette games to make sure each player is entertained in their needs. 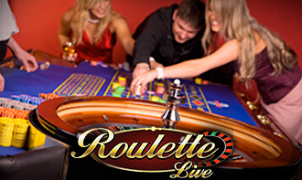 The following online live roulette games can be played at Evolution Gaming Live Casinos. Welcome in the real-world of Evolution Gaming Immersive Roulette where everything is filmed from different perspectives in a luxurious environment . You can change the video in different angles and the gameplay will be filmed in zoom mode. 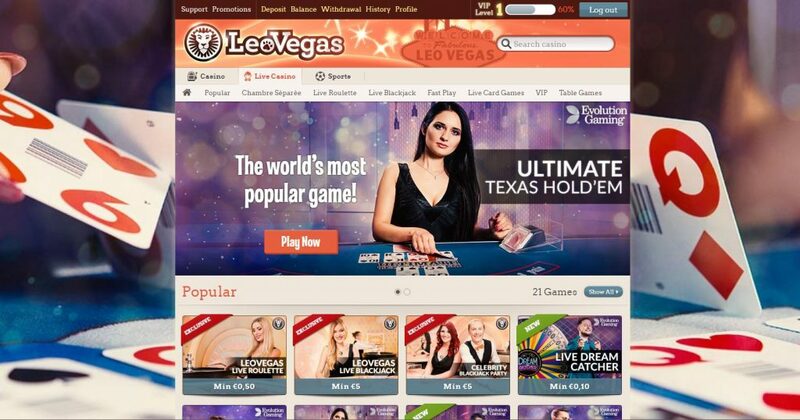 Play now yourself at LeoVegas Live Casino. Play different kind of European Roulette Live Games depending what you want. You can chose your own language or play at many of the VIP tables. Choose your own live casino dealer and interact with them over live chat. All live dealers are highly trained and very entertaining. Do you like to play fast? Speed Roulette rounds will take only 25 seconds per round. Play online roulette with professional live dealers on a high paste. The big difference between French Roulette and European Roulette is that French Roulette uses the La Partage rule: this means that you will get 50% back if you bet wrong on even-money and zero bets. French Roulette also appear with a different table layout and sometimes bet types are named in French. Play with a single spin and see the result of two balls delivers two winning numbers. The live dealer shoot the balls from a special created double ball roulette patented device. This type of roulette is available for UK live casino players. Get higher pay-outs and a different gameplay to enjoy yourself while playing live roulette from home. In this game you don’t find any live dealers. Slingshot Auto Roulette from Evolution Gaming is fully automated and very advanced to produce 2000 games per day! This is very suitable for players who don’t like to chat and are looking for fast round of roulette. Do not wait, play Live Roulette at 888! Get their bonus!